We're continuing to examine some great albums this week. Most of the artists featured this week have many great albums to their credit, not just the one we'll be sampling. For the most part, these are the most elite and successful of their genres, further showcasing their talent and prwoess in the music industry. Here's what we'll be partaking of on Saturday. These hispanic lads have been given an incredible gift, one that only few musicians have: the ability to time after time create and produce incredible music. I have not heard a Mana album that did not amaze me. "Amar Es Combatir," their latest release and nominated for many awards, continues to prove that these guys are still able to do what they've been doing for decades, make great music. We'll hear three great tracks from this release. Another great example of musicians who continue to impress. 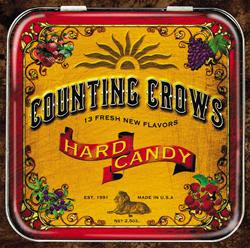 After several hit records and singles, Hard Candy showed that Adam Duritz and company can still get down. This week, we'll hear not just the hits that took the credit, but we'll provide further examples from this great release as to what makes this a part of our great album cuts series. What, two alternative rock bands? Yeah that's right. And it's Pearl Jam, so that fact alone qualifies it. Here's why. There is no other band in rock music as prolific as these guys. They've released eight original albums, a b-side release (that had around 20 or more tracks on it), a best of cd, and around 200 live releases from their 2001-2003 concerts from not just America but around the world. That's a lot of recorded music. And we can't get enough. 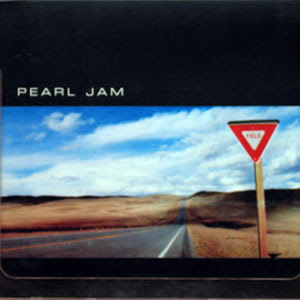 Yield is probably my favorite of theirs, but only by a slim margin. We'll check out more of it this weekend. Talk about prolific. These guys have been making great music for 30 years now. That puts them up there with the likes of the Stones and the Beatles. Imagine. We will. 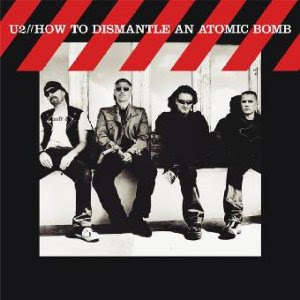 "How To Dismantle..." is more than a rock album. It's an outcry for a generation of teenagers, 20 and 30 somethings and even middle-aged rockers who are tired of the mundane and tragic and want change. It's not an anarchy cry for change. It's a passionate calling to those who will listen and act. It's a love story for the world, and we're listening intently. There's much more music on the way this week, including new comer Ingrid Michaelson and Bess Rogers.